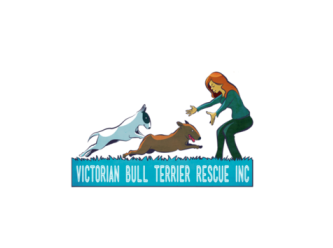 VBTR is a non-profit, volunteer run organisation in, but not exclusive to, Victoria Australia. 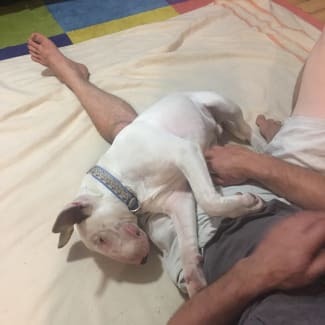 We are dedicated to rescuing bull terriers left homeless for whatever reason. We strive to work with area shelters and other rescue and humane organisations to develop a network of supporters and volunteers in order to create a better world for homeless bully’s. 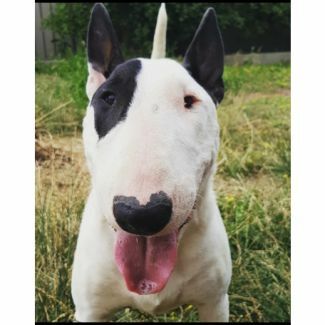 We place dogs in loving, responsible, committed permanent homes, following a comprehensive adoption/fostering process which includes taking considerable care in finding good matches and educating prospective adopters about the responsibilities and costs of bringing a bull terrier into their homes and lives. VBTR places all dogs in a foster care agreement, before moving forward on adoptions. All foster applications received will be assessed and those that meet the needs of the dog will have house & suitability checks. From there, approved applicants will have the opportunity to foster with a view to adopt. Most go onto be ‘foster fails’ and adopt these beautiful bullies. VBTR work tirelessly to ensure successful foster to adopt placements for the benefit of both dogs and humans alike! Bully Buddies are assigned to every dog support this process. 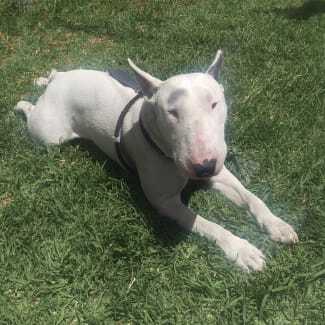 ****PLEASE READ FULL PROFILE BEFORE APPLYING**** Mouse is a stunning 7months old deaf bull terrier who is looking for the right home. Mouse is a friendly boy who we would like to find the right home to continue with his guidance and structure. With these requirements we would like him to be the only pet and foster carer be home a lot. Although he may not be able to hear he makes up on brains, he is very clever and learns things very quickly. Mouse requires a foster home where they can continue with his training and managing his mouthing/nipping which is mainly when he is over excited and stimulated. Also needs structure, boundaries and routine .. He loves nothing better than going on walks and LOVES water. He is a gem to walk and enjoys exploring the world around him. Mouse is not so good in the car but that will come with time. He requires regular walk and mental stimulation. He is crate trained and loves nothing better lying with you or on you watching some tv. Mouse will require a home without small kids as he is too full on.